In the dark, early hours of a Saturday morning, you are probably sleeping in after a hard week’s work (we know we are). But while you’re sleeping, farmers are loading boxes full of freshly-harvested produce. Artists are carefully readying their good for travel. As the sun rises, so are tents in dewy grass as vendors ready their booths for the Serenbe Farmers Market. Serenbe residents spend the entire morning at the Market both shopping for the week’s groceries and catching up with their neighbors! Photo by J. Ashley Photography. Two- AND four-legged guests enjoy shopping on the Selborne Green at Serenbe. Photo by J. Ashley Photography. 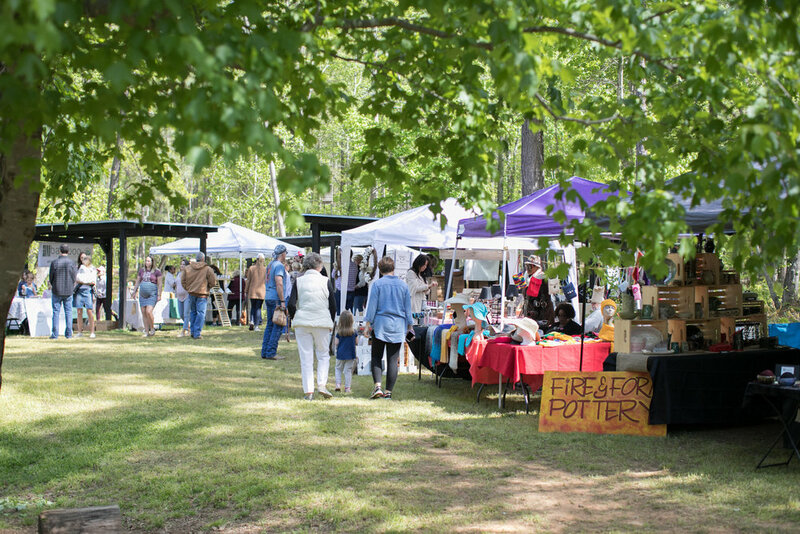 You can’t spend a Saturday in Serenbe without stopping by the Selborne Green for the Farmers Market. Photo by J. Ashley Photography. This market is different from others in the Atlanta area. It takes place on a small swath of green space set back into the woods, rather than in a parking lot next to big-box stores. Residents use Saturday mornings as an opportunity to catch up with each other, as do vendors who have formed friendships and partnerships with guests and each other over the years. Live music fills the air as friends greet each other and children run and play. Depending on the Saturday, you may find a blueberry baking competition, cooking demonstration or even a unicorn (which may be a horse, but we believe!). Serenbe Farms booth at the Serenbe Farmers Market. Photo by J. Ashley Photography. Cooking demonstrations are a popular event at the Serenbe Market. Photo by J. Ashley Photography. 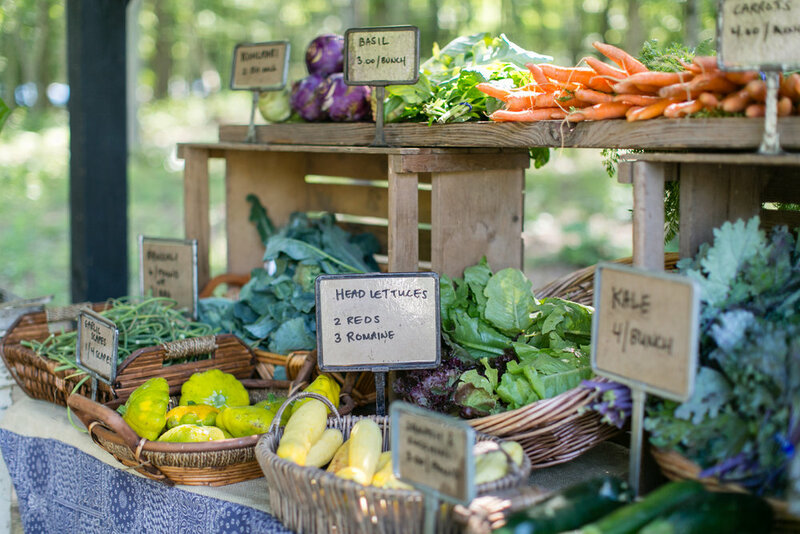 Serenbe Farmers Market is open April 20-November 23, 2019 from 9am-1pm on the Selborne Green. Learn more about the market at serenbefarmersmarket.com.